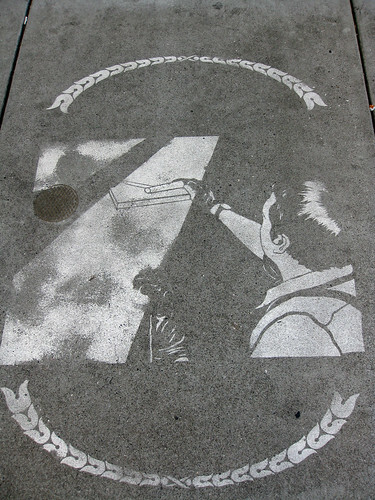 this series of stencils was sponsored by SFMOMA and can be found outside of the museum grounds on a nearby stretch of sidewalk. Hey, thanks for posting these. 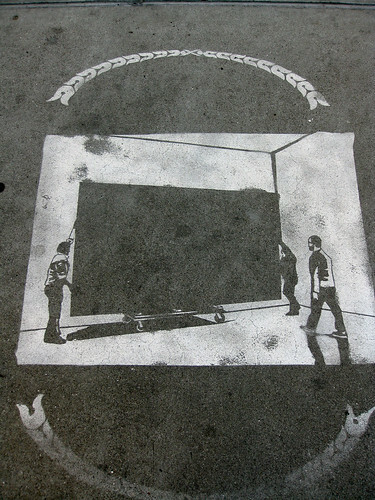 It’s amazing that they have survived over all this time, but these stencils are left over from a much larger project done for Bay Area Now 5 (YBCA) last year. 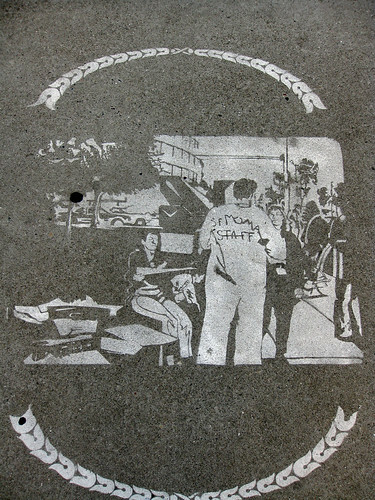 There were stencils of union workers in front of several downtown theatres, and all round civic center (the opera, etc…). This also included walking tours and a gallery installation. If you go to my blog and click the tags for either Bay Area Now or YBCA you can see more photos.